This is probably the earliest we have found one of these! 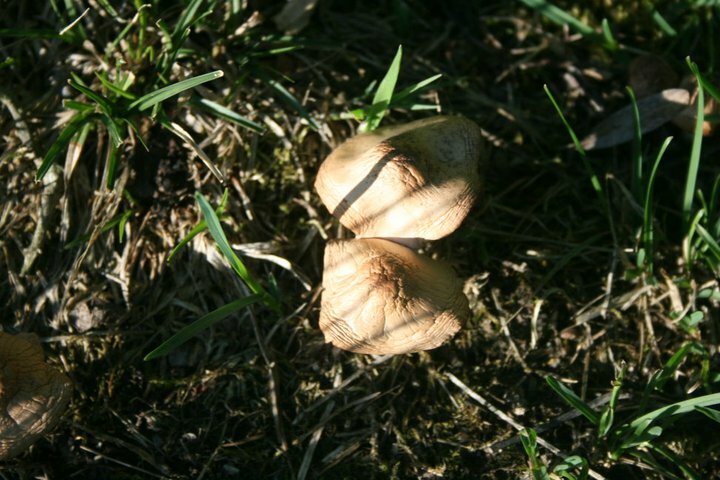 Usually found near Birch Trees – medium sized brown cap, small grey pores bruising brown, slim white stem covered with tiny brown-black scales denser near the base. 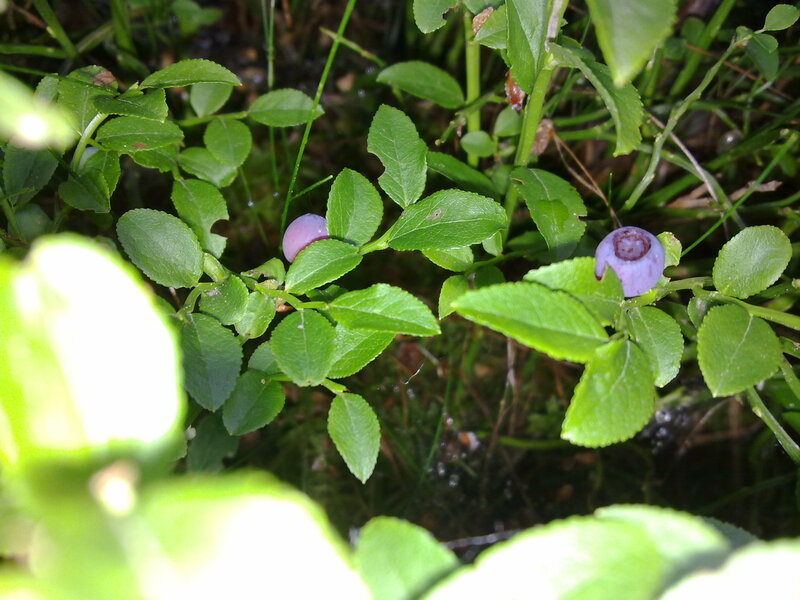 Usually found on heaths and moors or woodland. An erect shrub growing 20-50 cm high with hairless twigs and oval slightly toothed bright green leaves. Fruits small round and blue-black. 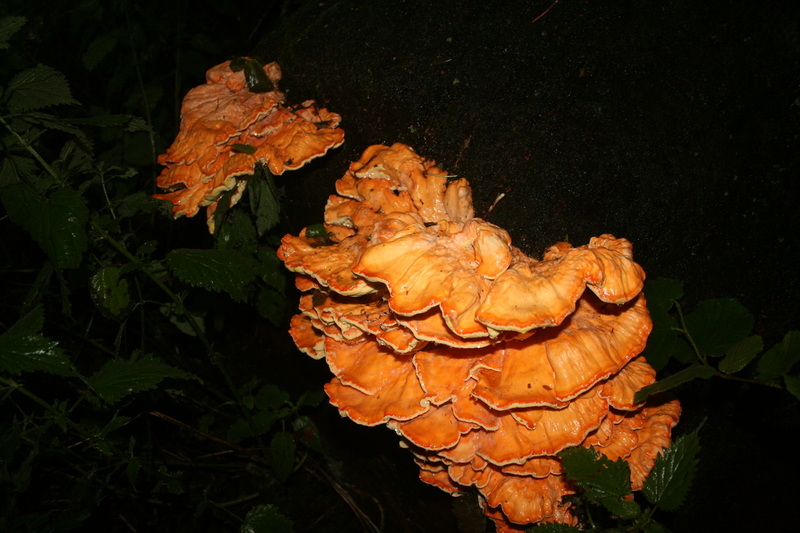 We have found some cracking Chicken of the Woods. 3 on one tree!!! 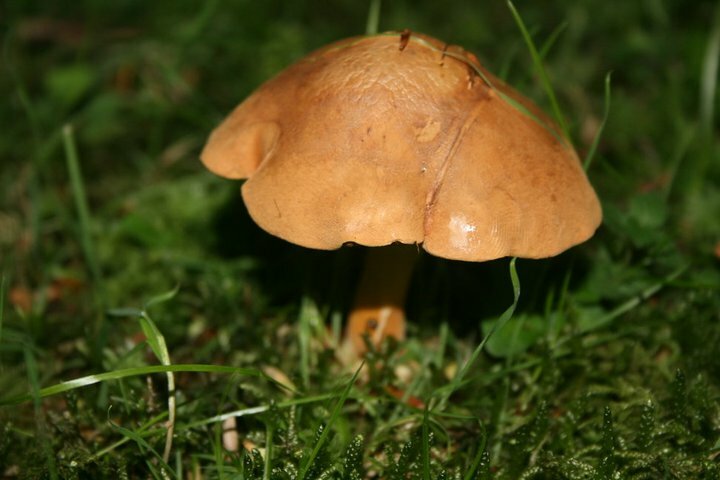 Larch Bolete – Cap 3–10cm, yellow to chrome becoming flushed rust, shiny when dry. 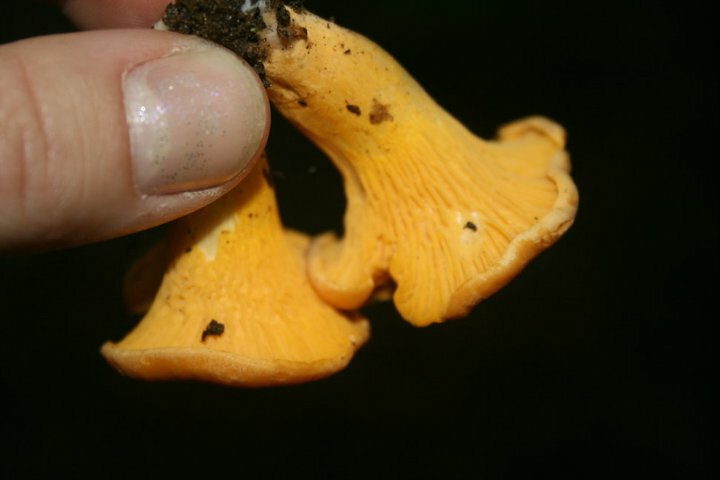 Stem- yellow above the whitish ring and punctate or occasionally netted, flushed cinnamon below. Flesh pale yellow in cap, darker lemon-chrome in the stem. Taste and smell not distinctive. Tubes pale yellow. Pores small, angular, lemon-yellow becoming flushed sienna, bruising rust. Habitat with larch trees. Season late summer to autumn. Common. Edible. 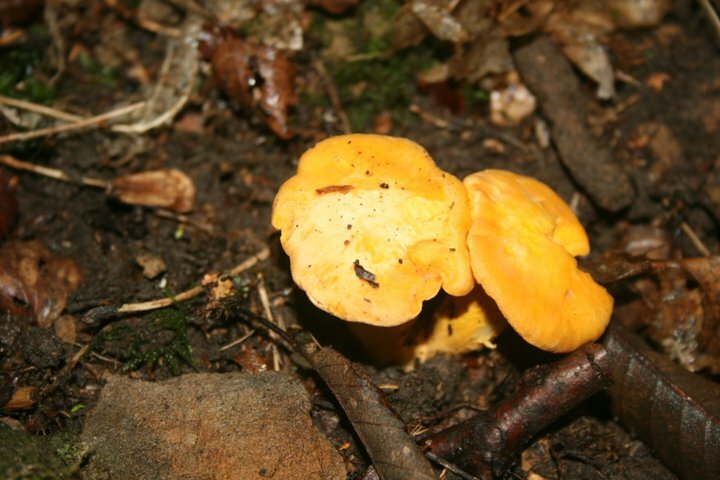 Girolles – also known as Golden Chanterelle mushrooms are one of the most prized and sought after Wild Mushroom. 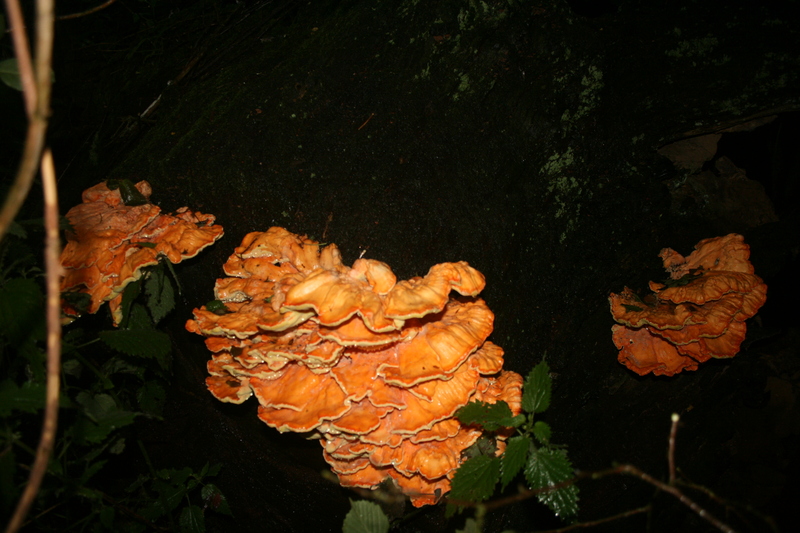 They taste fantastic and have an apricot aroma. They can be anything from 5mm to 100mm in diameter. They are available from July to November. 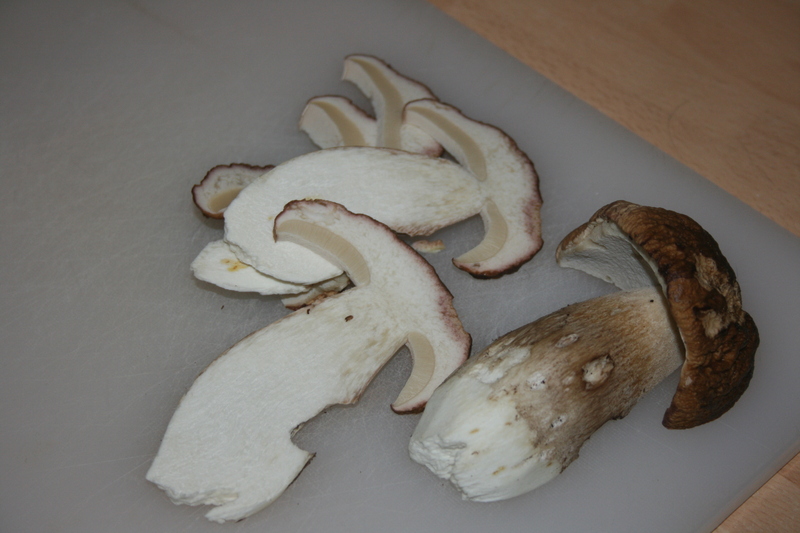 They are very versatile whether on their own or in a mixed mushroom dish or with meat or fish. They also give a wonderful colour to sauces and the overall appearance of the dish. 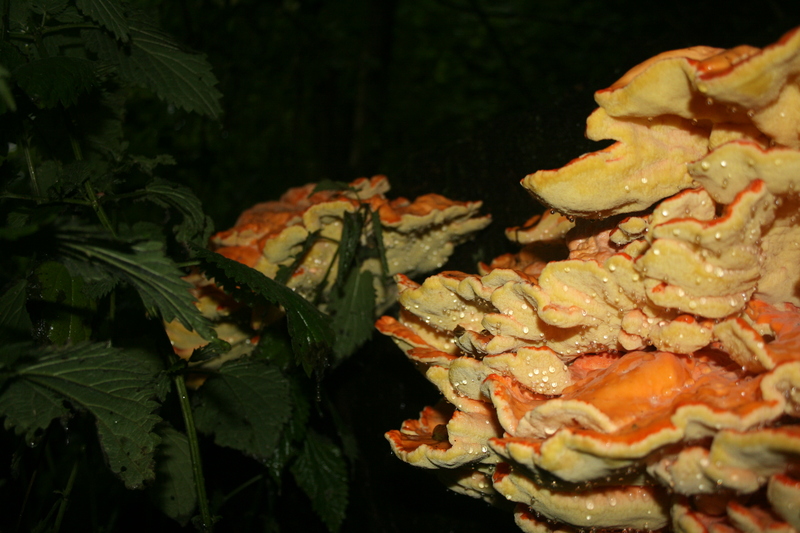 It is orange or yellow, meaty and funnel-shaped. 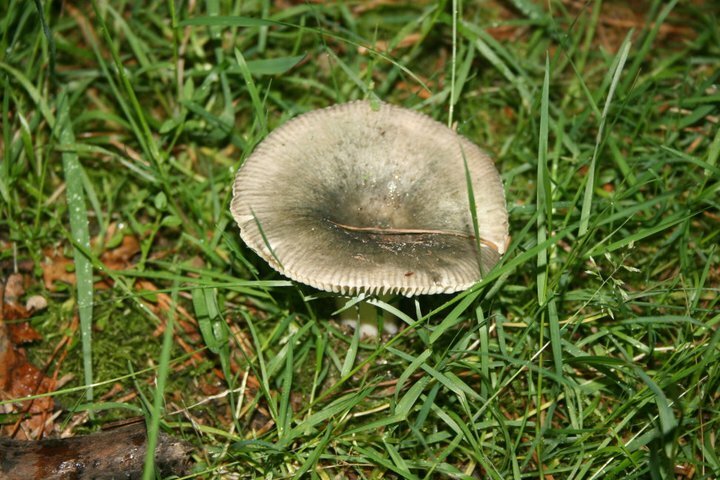 On the lower surface, underneath the smooth cap, it has gill-like ridges that run almost all the way down its stipe, which tapers down seamlessly from the cap. 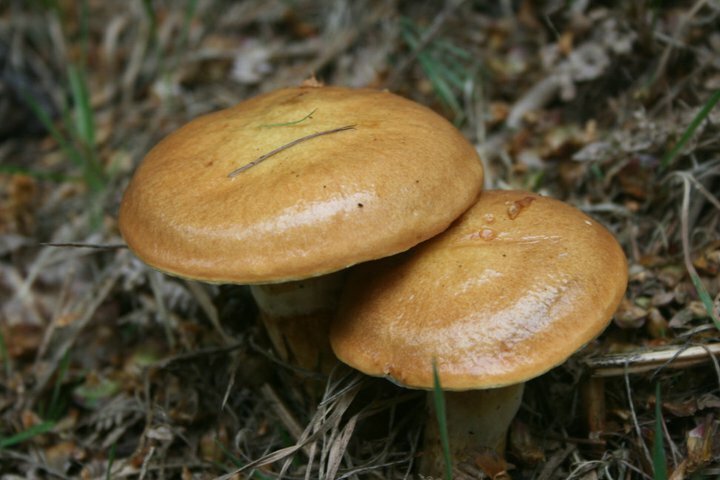 Peppery Bolete – Cap 3–7cm, cinnamon to sienna, at first slightly viscid then dry, smooth and shiny, stem same colour as cap, slender, tapering towards base, where it is a distinctive lemon-chrome. 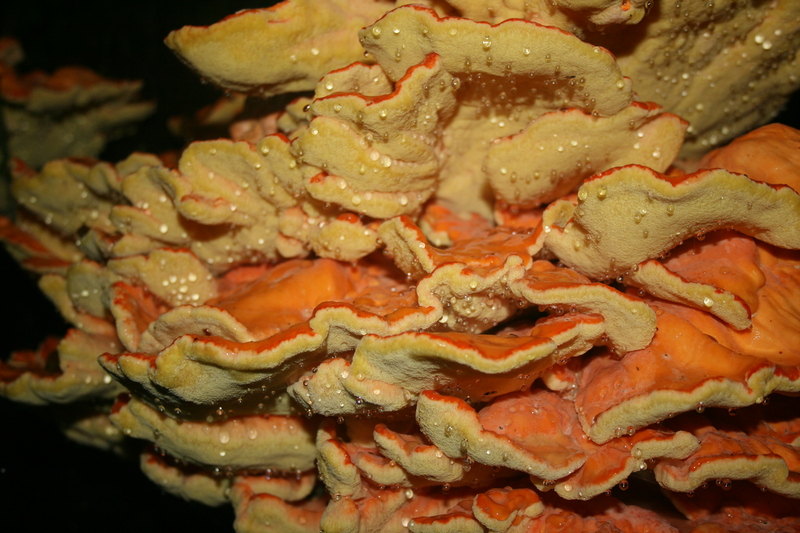 Flesh flushed red above tubes and under cuticle, intensely lemon-chrome in stem base. Taste peppery, smell not distinctive. Tubes cinnamon then rust-coloured, not bruising, decurrent or subdecurrent. Pores angular, rich rust-coloured at maturity. Habitat variable, particularly in birch scrub or mixed pine and birch on sandy soil. Season late summer to autumn. Occasional. Edible – peppery flavoured. 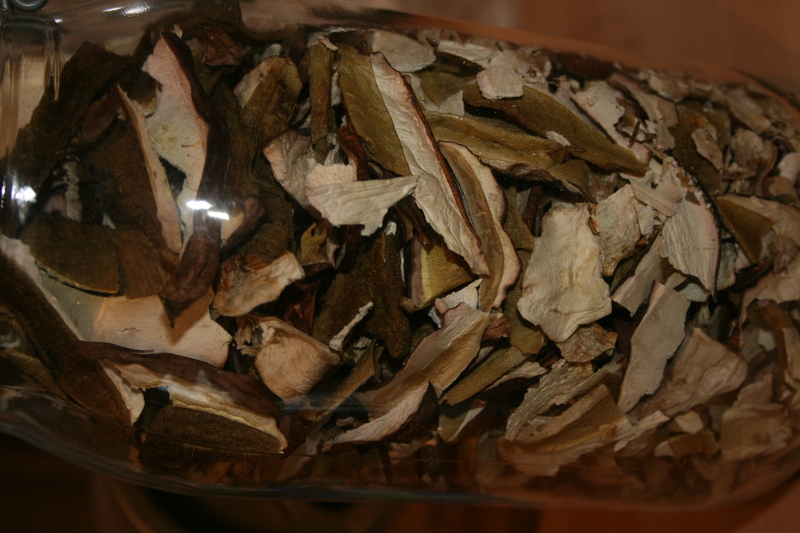 Charcoal Burner – Cap 5–15cm across, flattening to depressed at the centre, sometimes one colour but usually a mixture, dullish lilac, purplish, wine-coloured, olive, greenish or brownish, firm to hard, greasy when moist, with faint branching veins radiating from centre, half peeling. Stem white, sometimes flushed purple, hard. Flesh white. Taste mild. 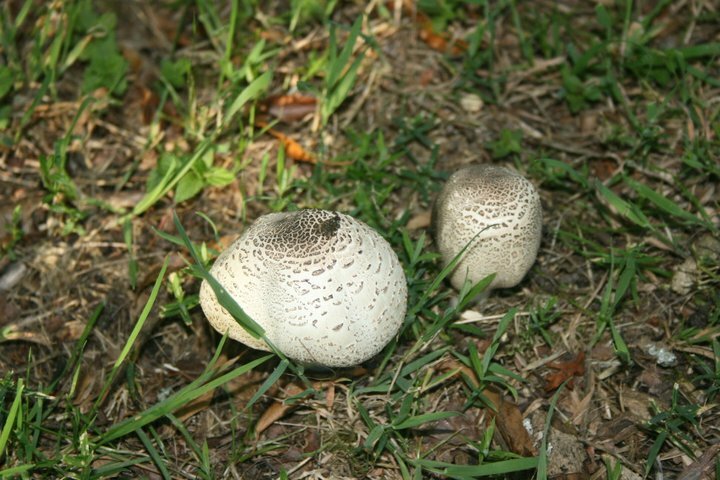 Gills adnexed to slightly decurrent, whitish to very pale cream, rather narrow, oily to the touch and flexible, not brittle as in most Russulas, forked at times. 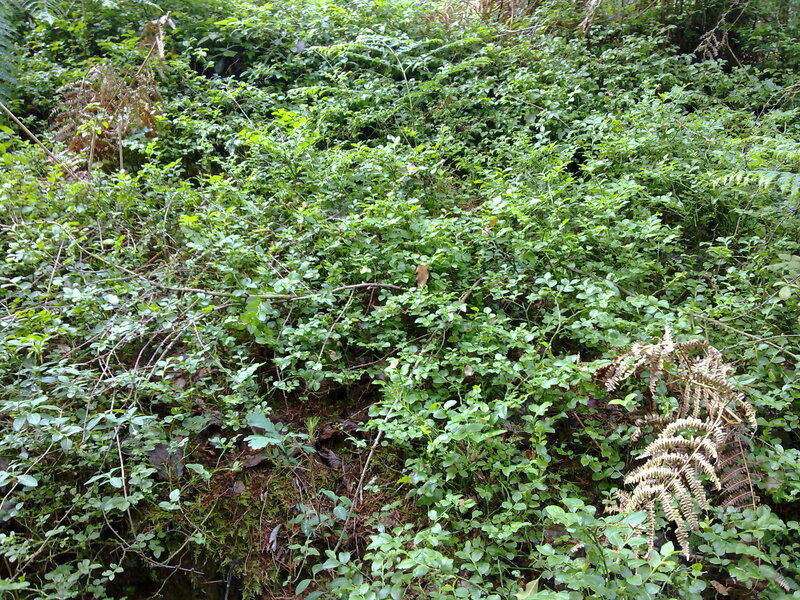 Habitat under broad-leaved trees. Season summer to late autumn. Very common. 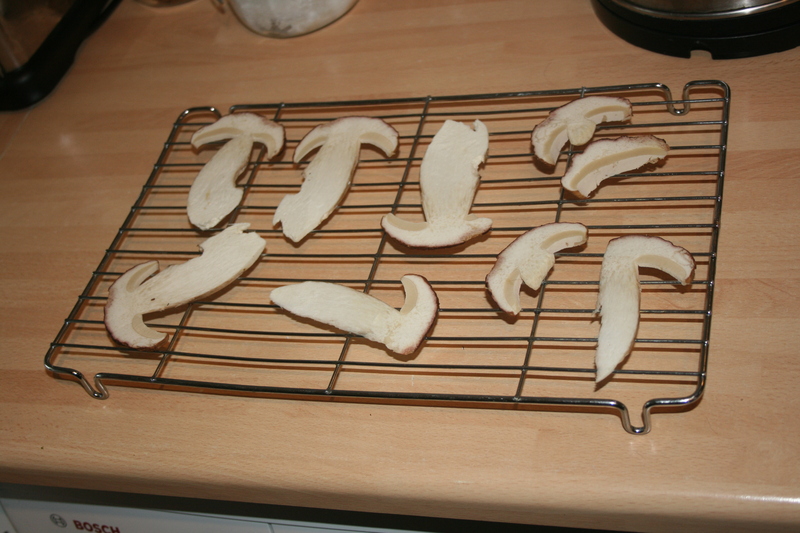 Fairy Ring Champignon/Fairy Ring Mushroom. 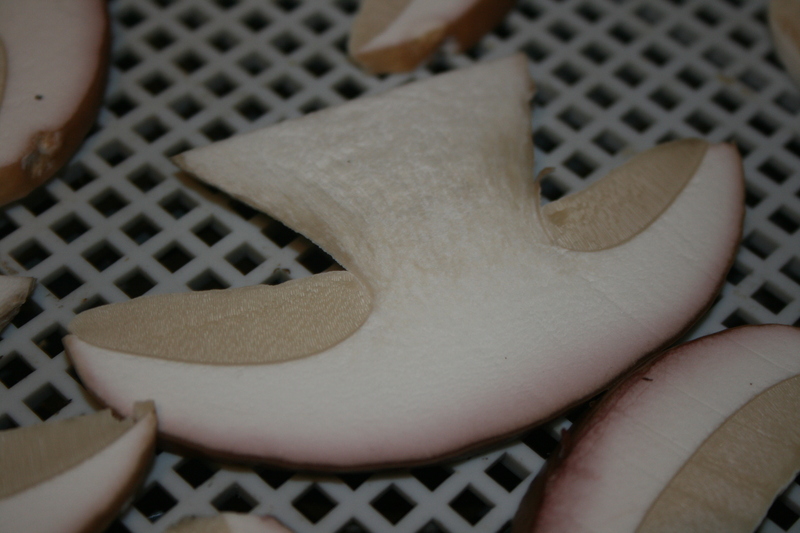 – Cap 2–5cm across, convex then flattened with a large broad umbo, tan when moist drying buff tinged with tan at the centre. Stem, whitish to pale buff, tough, rigid. 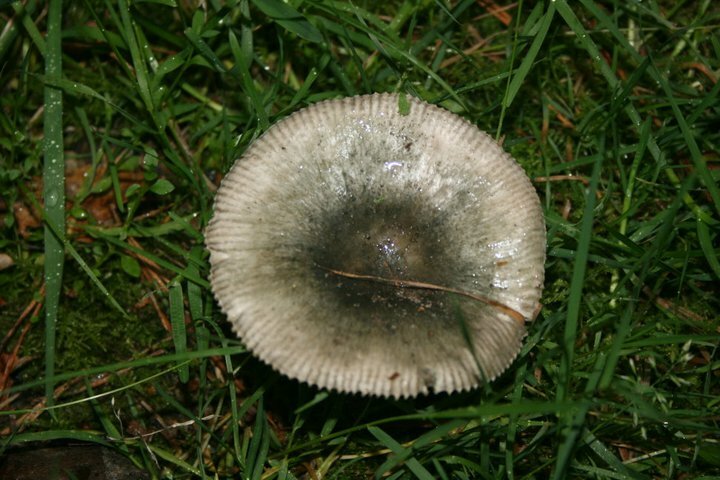 Flesh thick at the centre of the cap, whitish. 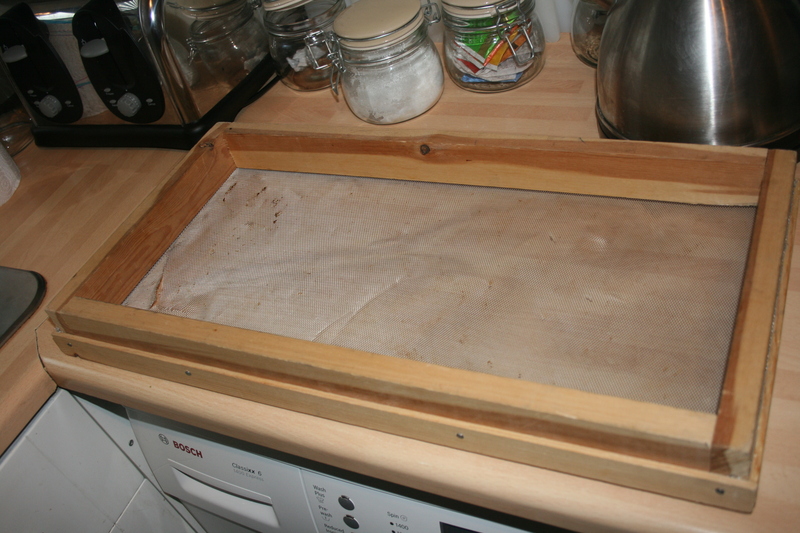 Smell of fresh sawdust. 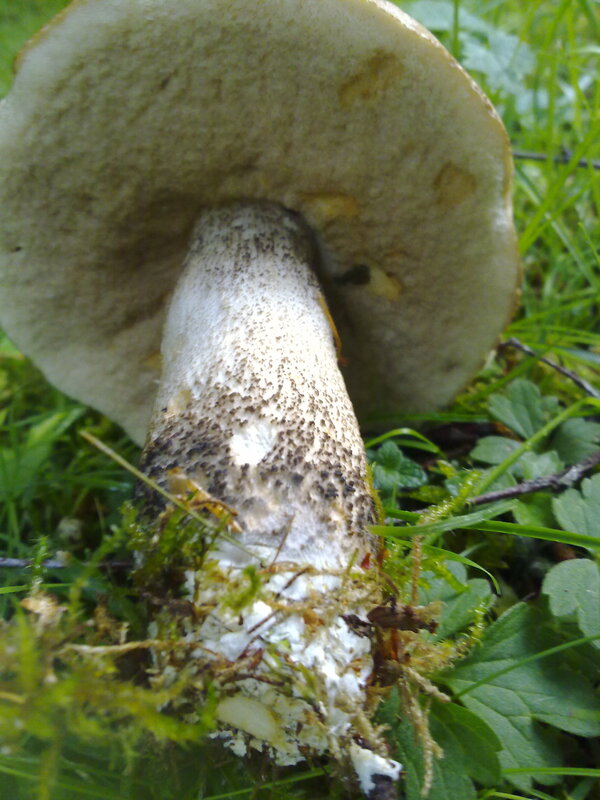 Gills white then ochre-cream, distant. Habitat often forming rings in the short grass of pasture or lawns. Season late spring to late autumn. Common. Edible and good. 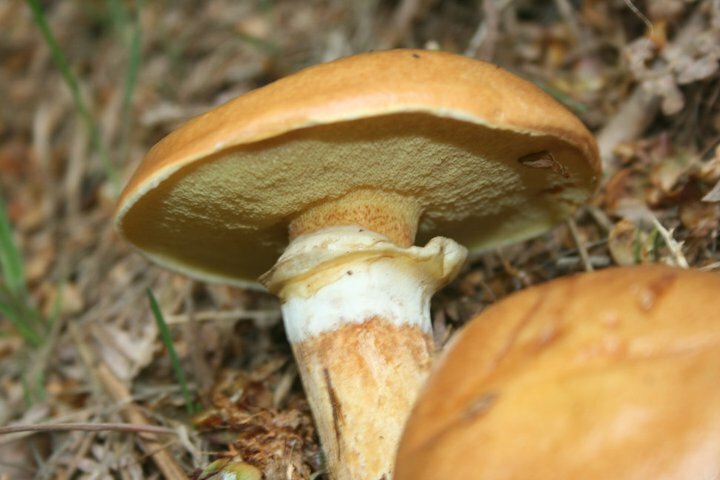 The Prince – Cap 10–20cm across, yellowish-brown covered in chestnut-brown fibrous scales. 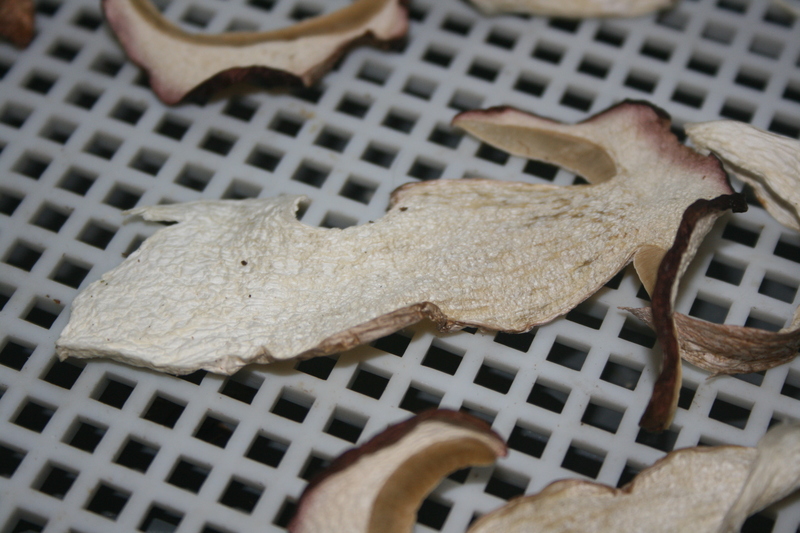 Stem whitish with small scales below the ring which discolour brownish with age, bruising yellowish; ring white, large and pendulous. Flesh thick and white, becoming tinged reddish with age. 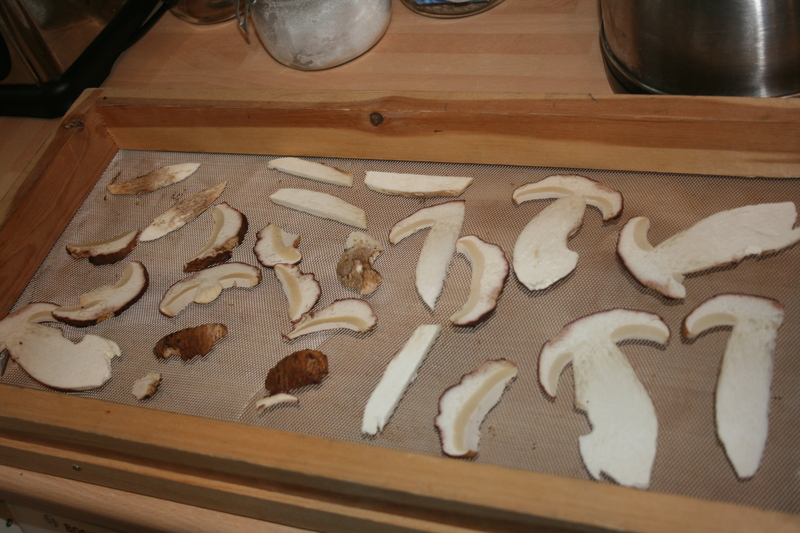 Taste mushroomy, smell strongly of bitter almonds. 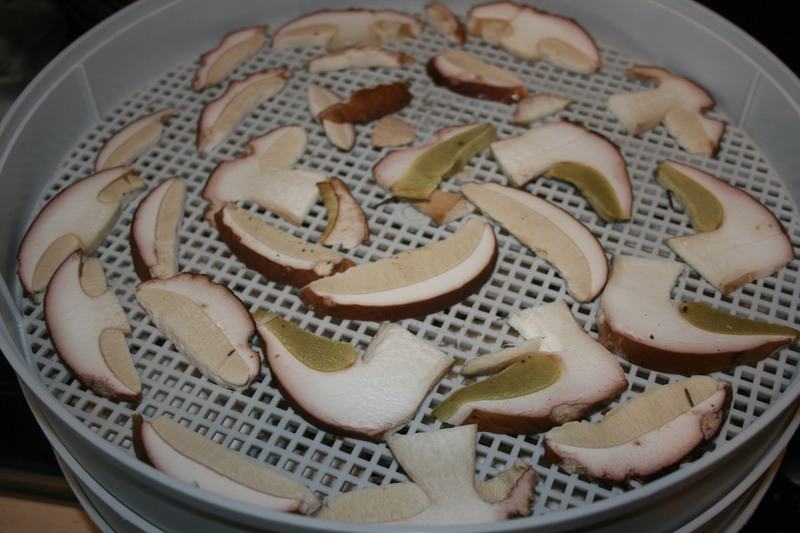 Gills free, white at first then brown. Habitat in coniferous and deciduous woods. Season late summer to autumn. Uncommon. Edible – good. 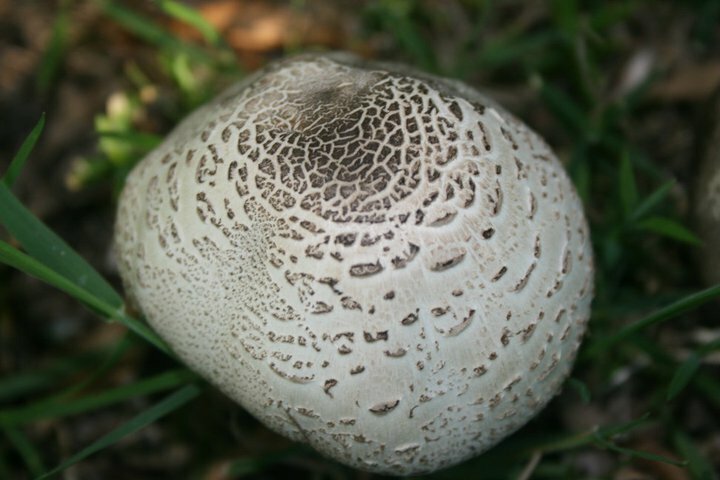 Horse Mushroom – Cap 8–20cm across, ovate at first expanding convex, creamy white yellowing slightly with age or on bruising. 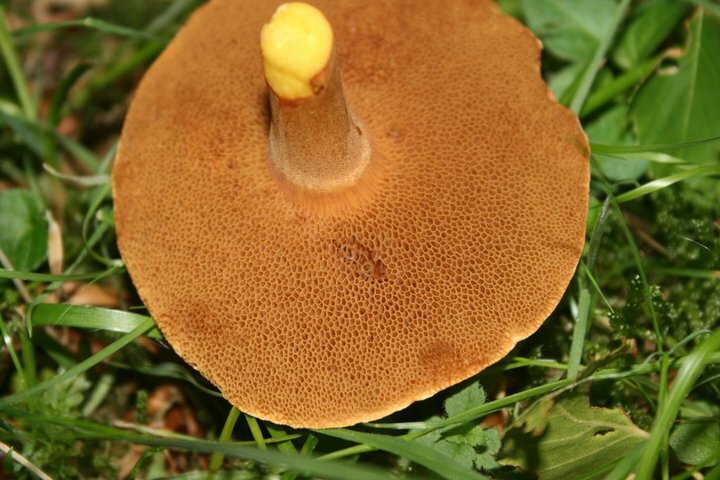 Often slightly clavate at the base, concolorous with the cap, the ring is formed of a double membrane, the lower splitting into a star-shape around the stem. 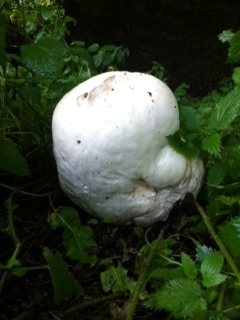 Flesh white, thick and firm in the cap, pithy in the stem which tends to become hollow. 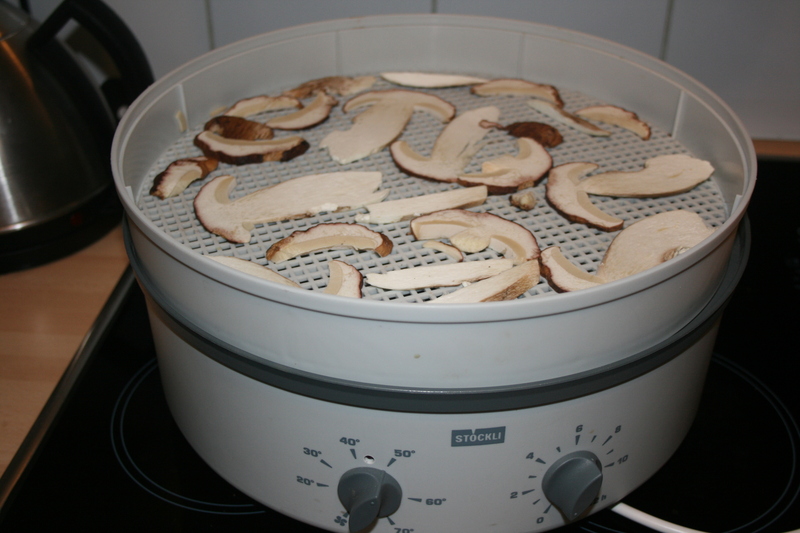 Taste mushroomy, smell of aniseed. 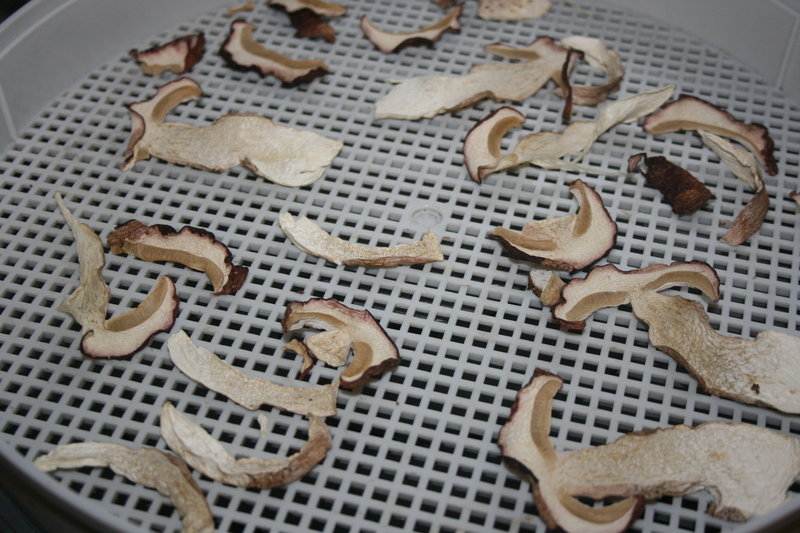 Gills free, white at first then flesh-pink, finally chocolate brown with age. 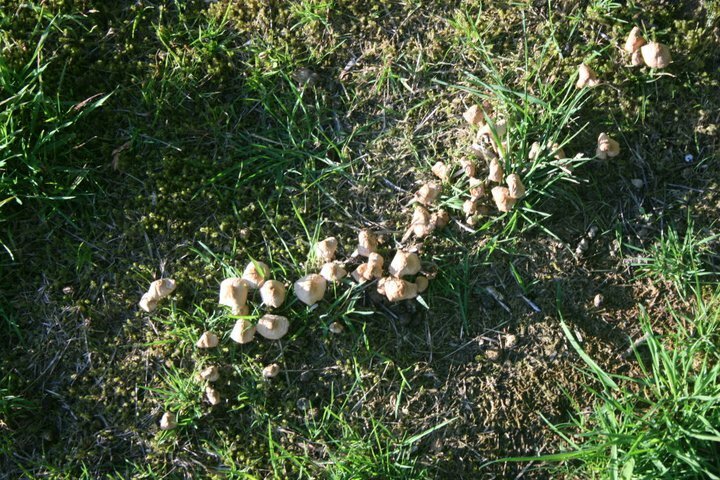 Habitat amongst grass in pasture or thickets often in rings. Season autumn. Edible – excellent. 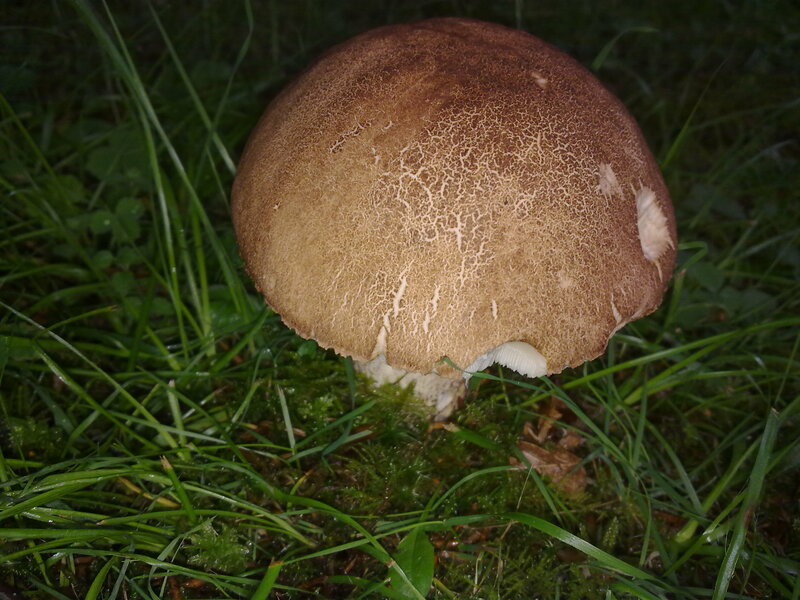 Giant Puffball – body 7–80cm across, not quite round, whitish and leathery, the outer wall breaking away to expose the spore mass, attached to the substrate by a root-like mycelial cord which breaks leaving the fruit body free to roll around and so scatter the millions of spores. Habitat in gardens, pasture and woods. Season summer to autumn. Uncommon but locally frequent. 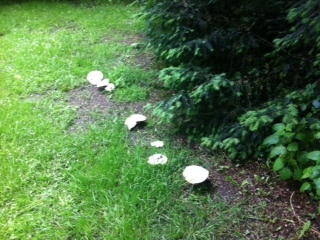 Edible when still white and firm – good.